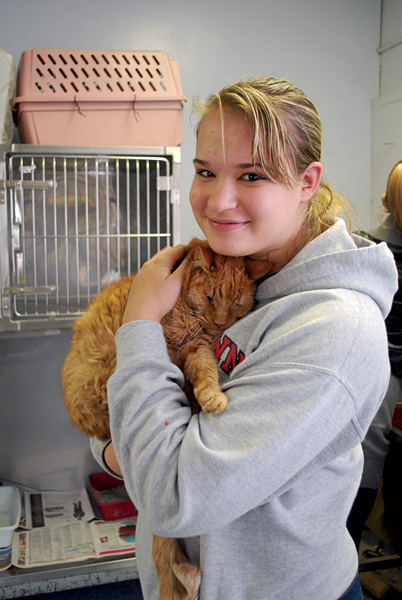 Students will have many opportunities to handle and care for animals as they study pet shop operation and management, veterinary assisting, and laboratory procedures for animals. 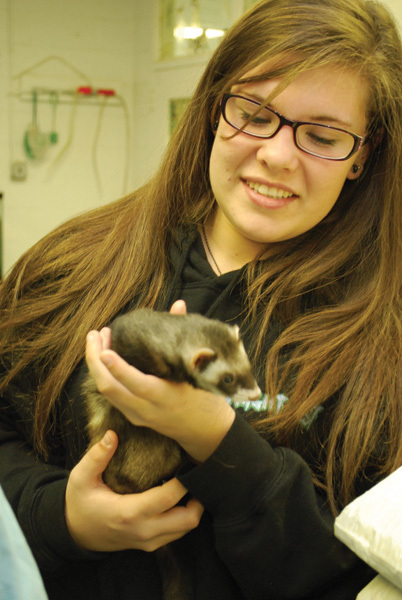 You’ll study anatomy as you care for the animals that live in your classroom! 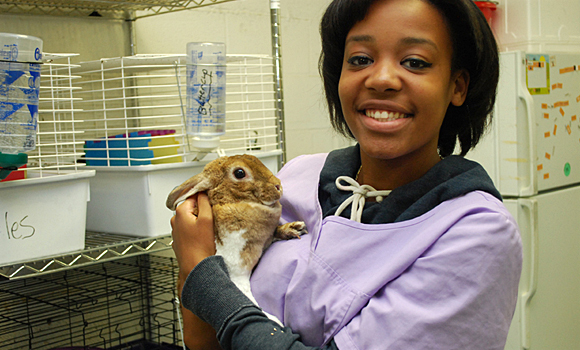 Veterinary Assistants have a wide range of employment opportunities in animal clinics, veterinarian’s offices, pet stores, laboratories, pet grooming shops, animal shelters, zoos, and preserves. Students must successfully meet the academic and attendance criteria for a two-year Wilson Tech Certificate of Completion, be High School diploma eligible, and pass the following national certification exam: National Occupational Competency Institute (NOCTI) – NYS Small Animal Science Assessment Exam. 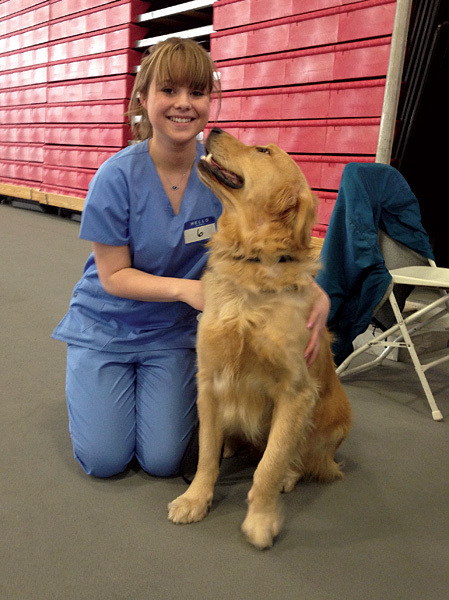 Kathy Keymel, a NYS licensed veterinary technician, holds an associate’s degree in veterinary science, bachelor’s degree in biological science, and a master’s degree in curriculum and instruction. She worked in the field for more than 20 years at various animal hospitals before coming to Wilson Tech. 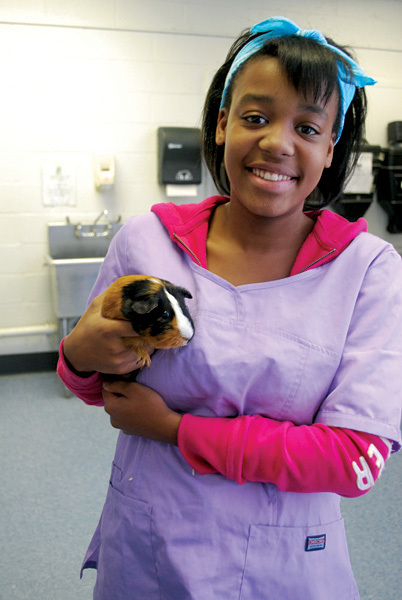 Her classroom is a mini habitat where students have the opportunity to care for a variety of small and large animals while preparing to enter a field in animal care.